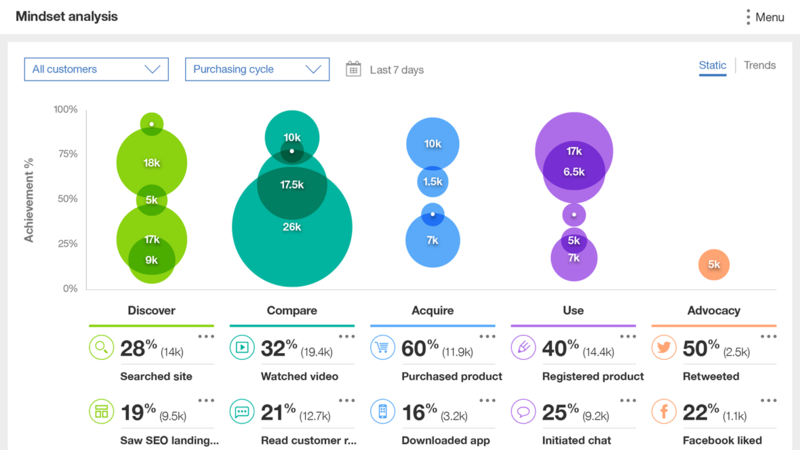 IBM Watson Customer Experience Analytics helps you make smarter, faster marketing and CX decisions based on insights into customers across touchpoints and channels. 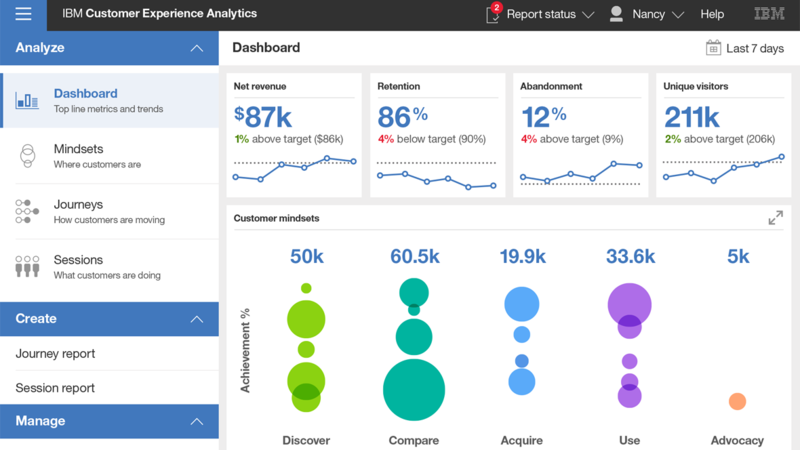 Only Watson gives you clarity into end-to-end journeys and their effectiveness while also giving you the ability to visualize the actual customer experience on your digital channels. This macro to micro view gives you both the what and the why behind your performance. The end result? 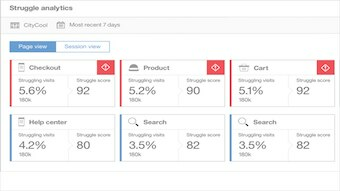 The insight you need to optimize journeys, boost conversion, and maximize profitability. Get the customer analytics to enhance engagement and conversion. Integrate with Watson Marketing or your existing solutions to bring experiences to life. 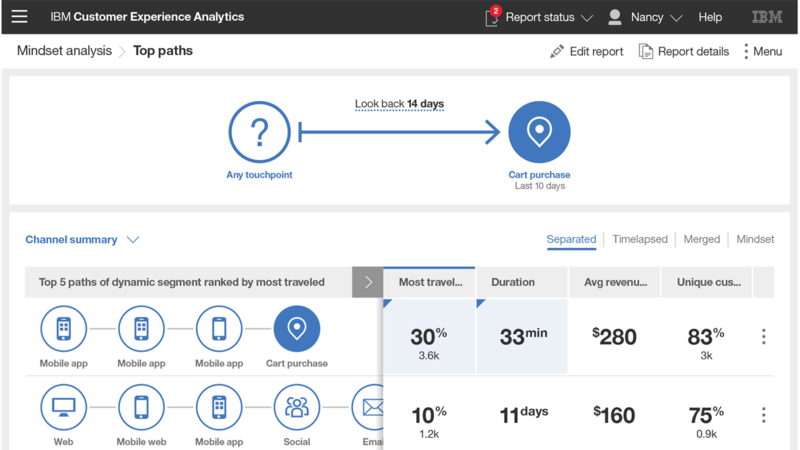 Visualize and rank cross-channel customer journeys by performance. 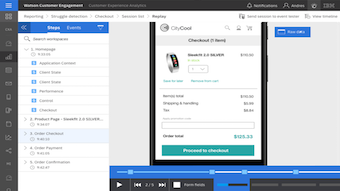 Understand precisely how customers interact with your sites and apps. AI customer analytics automatically surface opportunities to boost digital revenue and pinpoint struggles that cost you conversions. Easily exchange customer data between your IBM and third-party solutions for holistic customer insight. Link to automation systems to execute data-driven marketing. Know what marketing campaigns, touchpoints, and channels drive revenue and other business outcomes. Determine ROI and understand where to invest and what's not working. Got a question? Need a metric or report? Ask Watson Assistant as you would text a team member and get results in seconds.